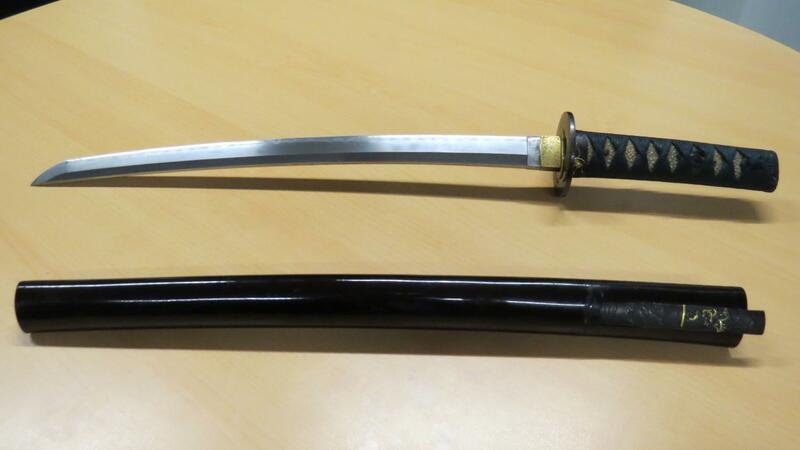 I've bought 6 months ago a wakizashi, with a very nice koshirae, though it is not "en suite". I've sent it to NBTHK shinsa but unfortunately the signature of the blade was judged as gimei (sigh) . Anyway, I stil want to submit the koshirae for shinsa, for I think it is genuine and good looking. 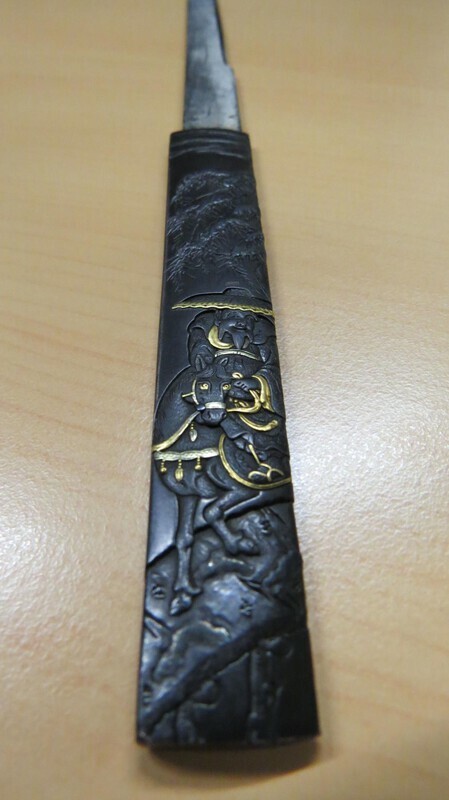 While waiting for the judgment, I ask your help to translate the signature of the kozuka and the fuchi. 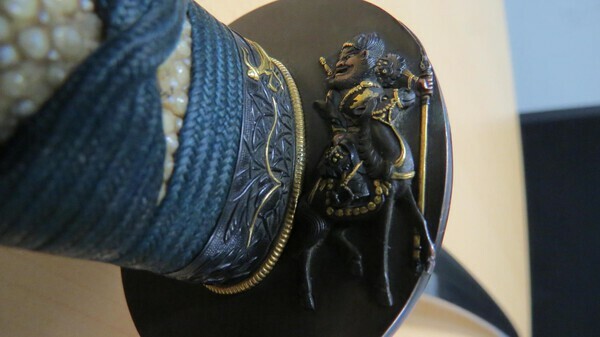 The kozuka (and the tsuba) shows the chinese general Kuan Yu on his horse over a bridge. The fuchi (and kashira) shows insects among grass. I'm not sure about the kozuka - 直悦- Naoetsu perhaps (I'm struggling to match the second kanji) but I can't find anyone signing this way in Haynes. On the fuchi 寸竜子古川 - Sun Ryuu Shi Furukawa (Furukawa can also be read Kogawa) plus Kao. Again, I can't find someone signing this way in Haynes. There are a couple of entries under Furukawa and Kogawa but nothing similar to what you have here. 直- Sorry Sylvain - it's Nao like this for the kodzuka. thank you for your help. 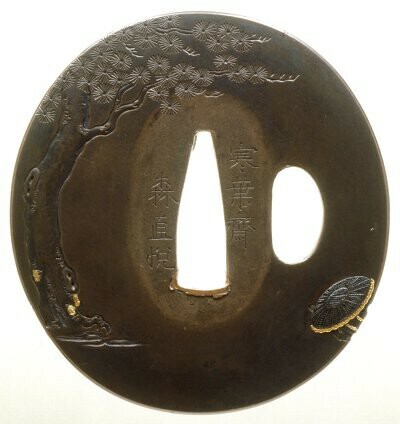 I've search a bit on the web and I found a tsuba with the naoestu mei 直悦. 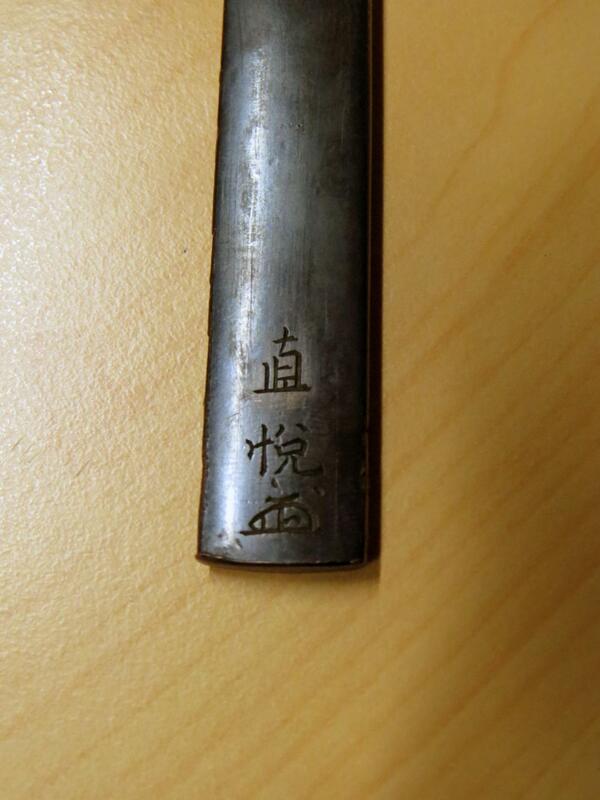 Seems to be close to the deisgn of my kozuka. So I would say it matches. But for the fuchi maker, I didn't find anything wich matches for the time beeing. 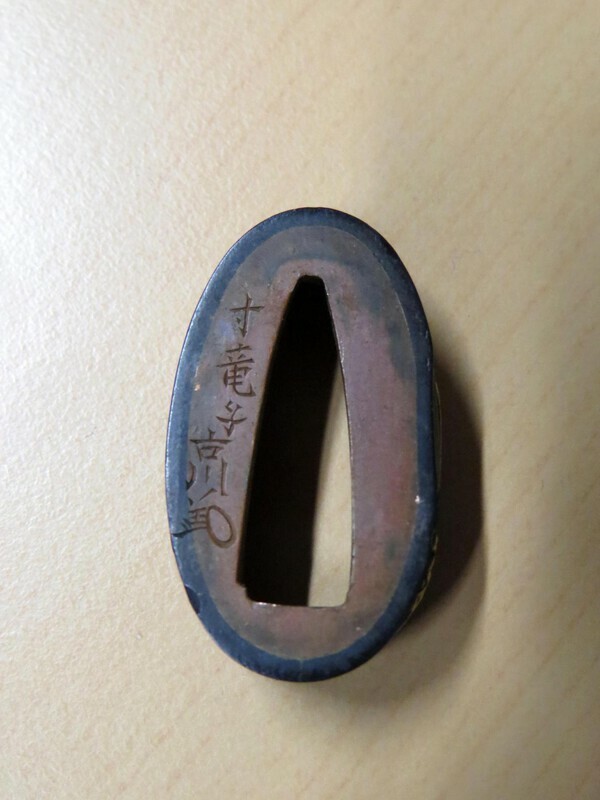 by the way, I think I did a misunderstanding on the design of the tsuba and the kozuka. 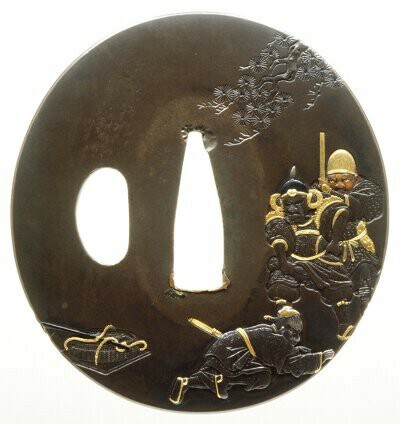 I think the tsuba shows the chinese general Zhang Fei (Chôhi in Japanese) and the kozuka shows his companion the general Kuan Yu. 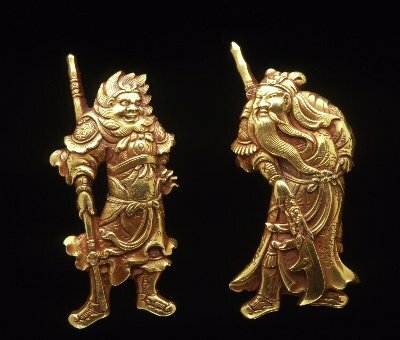 The two menuki below emphazises the difference of dressing and face between Zhang fei (on the left) and Kuan Yu (on the right).